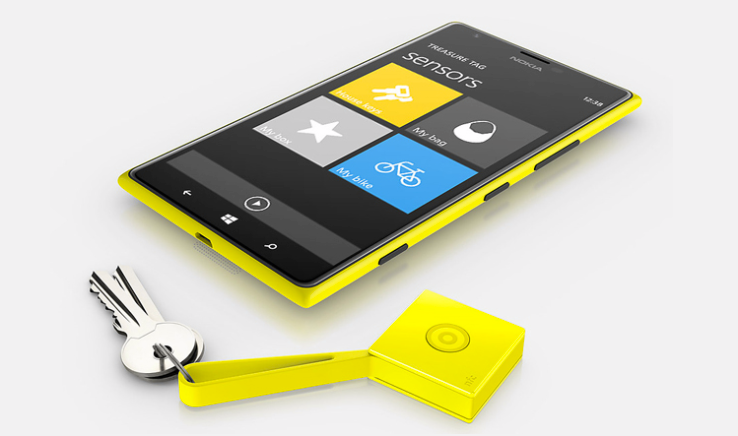 Nokia has unveiled a new accessory called Treasure Tag, designed to make sure users of its Lumia smartphone are never parted from their handset. The smart fob can be paired via NFC or Bluetooth 4.0 with a Lumia smartphone running the Lumia Black update to link the two devices, so that if either one moves out of range of the other an alarm sounds on both to alert the user that all is not well with their favourite gadget. The dimensions of the fob are 30 x 30 x 10mm, and it can last up to six months and you can replace the standard coin cell type battery anytime. The treasure tag will be available on April, costing €24,90 ($29.90/£19.99) and will come in four colour options. Bright yellow, Cyan, White and Black.